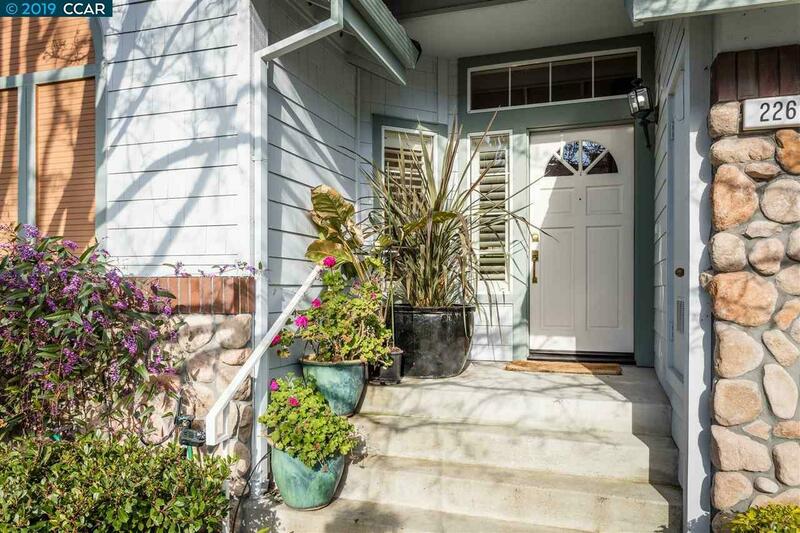 Sophisticated and beautifully appointed 2-level light-filled townhome walking distance to Blackhawk Plaza, shopping and restaurants in Danvilles popular Belle Terre neighborhood. Almost 2,200 sf w/3 bds, 3 updated bths, Jacuzzi tub. 2 luxurious master suites with dramatic vaulted ceilings + main-level bed & bath. Hardwood & stone tile floors, plantation shutters, soaring ceilings. 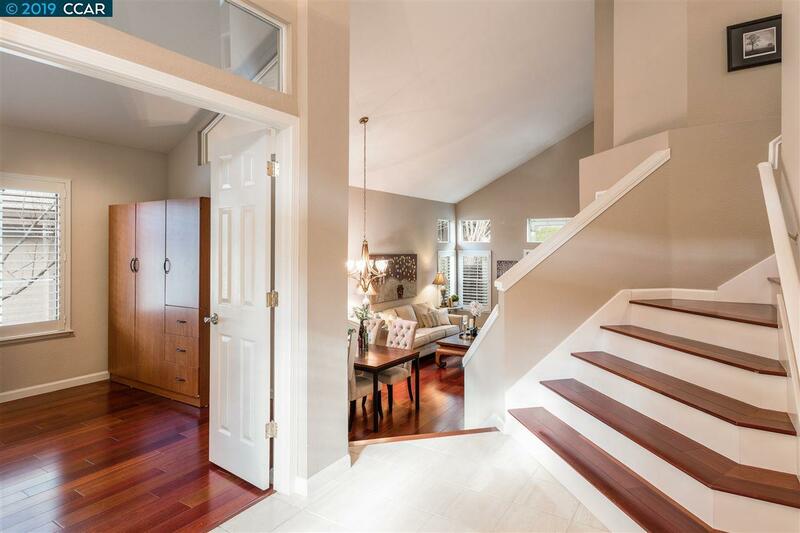 Elegant living/dining room w/access to bkyd. Chefs kitchen w/granite counters/bkf bar. Stainless appliances incl. Bosch dishwasher and oven. Casual dining area with garden views. Family rm w/fireplace and built-ins. French doors w/phantom screens to charming backyard sanctuary, slate tile patio, garden beds, romantic waterfall, vine-covered arbors. 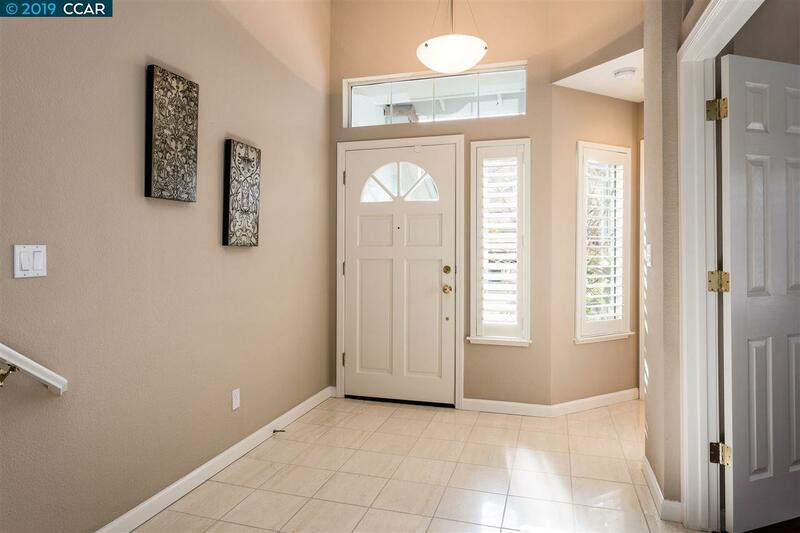 Spacious walk-in closets w/custom built-ins. Indoor laundry rm. Walking path to Camino Tassajara & community pool & park. Backs to open space. Guest parking. Two-car garage w/ walls of elevated cabinets. 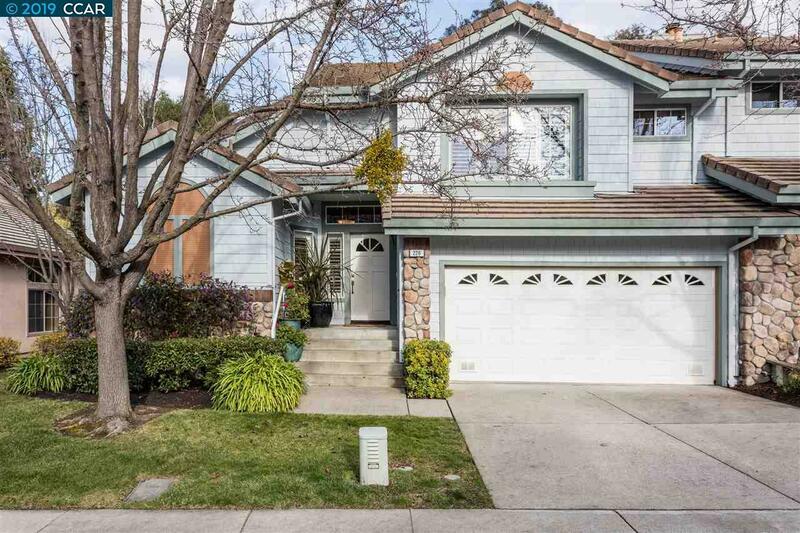 Easy access to downtown, freeways, SRVUSD schools & parks. Listing courtesy of Joujou Chawla of Compass.